Ari Klein is one of those rare people who is equally comfortable discussing the finer points of human relationships as industrial engineering. 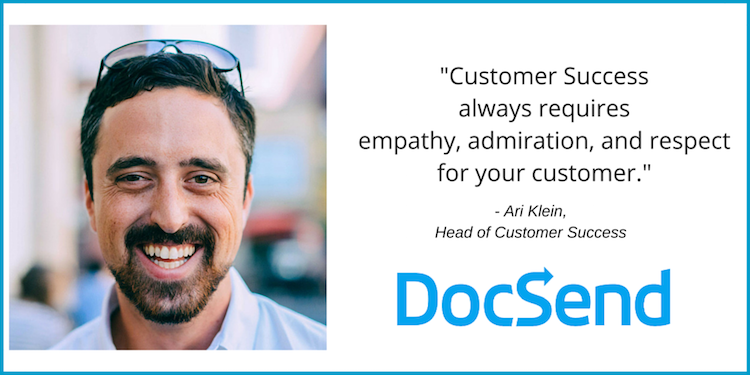 Balancing between customer needs and product requirements, Ari builds customer success programs that tow growth and product strategy in their wake for companies like CrowdFlower, and currently, DocSend. But my favorite thing about Ari, the one that knocked my socks off in our conversation, is when he talked about how closely his Customer Success department works with Product Development. It’s the kind of collaboration that strengthens the entire discipline of Customer Success, and it so very seldom happens. 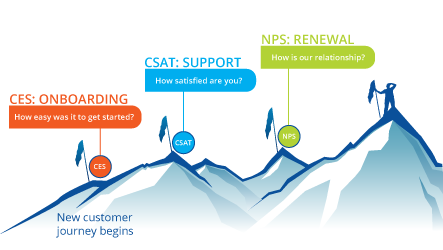 We sat down to discuss Customer Success at its best. 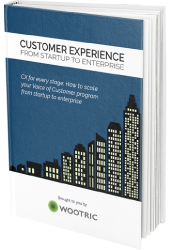 What came out was the true story of one company leveraging a Customer Success mindset to its greatest potential. Want in on some of those secrets? Read on. From this point forward, all words are Ari’s. DocSend has both monthly billed and annually billed plans, primarily because we want to make sure we’re a good fit for our customers, and that our customers are a good fit for us. We want to make sure they have the chance to decide – without pressure – that we’re a good fit for them. Monthly billing is one of the ways we allow for that. People can come in, try out DocSend, and switch plans later if they want to make an annual commitment. We take a really honest, transparent approach to pricing, so people don’t pay for DocSend if they’re not going to use it. We noticed that we had a lot of customers coming in with the freemium model just to try us out without having to commit. Once they got started, they onboarded really easily and quickly saw the value, and they stuck with it, moving into a monthly paid plan. For these customers that used DocSend regularly, we saw an opportunity for them to save some money by switching to an annual plan (we offer a deep discount on annual, upfront payment. So, to us, this meant one thing: we have the opportunity to tell these people about an upgrade that will help them save money. It’s great for us, it’s great for them. Simple, short, plain email. And it gets a really great response. If you think about the SaaS metrics of this, it decreases our MRR by just a little bit each time, but it increases the actual commitment and lifetime value of these customers to a point where it offsets the MRR hit. Not to mention the benefit it has to our cash flow. It’s been interesting to develop tactics that let us keep things personal on a mass scale. It’s mass personalization with the goal of sincerely understanding our users and speaking directly to them. “Language-market fit” is a good moniker for what we do, day in and day out. One of the things our talented engineering team released recently was a revamp to our signup flow. One of the key features of the new signup process is to ask users to self-identify their use case. Are they using us for sales or marketing, for finance or fundraising, or for real estate or something else? In short, we ask them to let us know how they’re planning to use DocSend. And that’s valuable for two main reasons: (1) to understand how well our marketing and positioning is working to attract our ideal customer, and (2) to equip us to send use case based messaging that will boost retention and upgrades. Before, if you signed up for DocSend, and then somebody else who is in real estate signed up, you would all get a similar sequence of messages. They were broad and general. And the danger there is that when you try to speak to everyone, you really end up speaking to no one. But now, if you tell us you’re using DocSend for sales, or for fundraising, or for marketing, each of those folks will get a different focused track that speaks specifically to their challenges and needs. It’s marketing automation, but for already signed up users. Segmented messaging is incredibly useful for onboarding and retaining users at a much higher rate, since we’re speaking to their specific needs and providing them with tailored content that is relevant to their workflows. By segmenting by their use cases, and by their roles, we can send each person content that is more likely to be genuinely valuable to them. So much of our success with our customers is a result of our Customer Success team developing a really close relationship with our Product team. We work as closely with them as we can, because, especially as an early stage startup, the feedback we get from our customers is so valuable. This is especially true when you’re building a product that isn’t necessarily for yourself. With some products like Stripe and Twilio, the software developers are their own ideal clients – they’re the target users. They understand what those users need in a deeply personal way, because it’s what they want, what they need. But sales and marketing are about as far from engineering as you can get, and when they’re making important product decisions, they need as much empathy for those customers as possible. And we work to provide that every chance we get. I think one key aspect of Customer Success is to be a conduit of feedback to the Product team. Both highlighting issues or requests that may need to be solved, and on the positive side, to share successes and positive expressions of customer happiness. One thing a lot of Customer Success teams fall into the trap of doing is presenting solutions to Product dev. But really, I think we can be at our most effective by highlighting problems and letting Product do what they do best – design solutions. We, as a company, realize that we exist to solve problems for dealmakers. And we do that in three fundamental ways. Principally, we build great software that’s simple and intuitive. And, of course, we also offer incredible service and support. But we also solve their problems using the power of the written word – take a look at some of our recent blog posts. We realize that our customers have needs beyond just what we’re solving through building software. And through content and support, we’re able to tackle some adjacent problems and provide relevant guidance in areas where our software may not just yet reach. 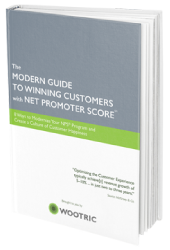 Too many companies rely exclusively on their product to solve their customer’s pain points, and underinvest in other potentially valuable areas of their business. We make sure people can see our faces, our screens, maybe our colleagues in the background – and it’s a custom-tailored video just for them. It’s novel and personal. And the funny thing is, when you get proficient with it, it’s as fast, if not faster, than writing an email. You can make a 5 minute video in 5 minutes – while it might take me 10 minutes to write an effective email. Videos help mostly with onboarding, retention, and expansion. So maybe a user creates an account, but we notice that they aren’t using the product right away. That would be a good target for a custom video to help them get re-engaged so we increase the likelihood of retaining them. And, it helps with growth. We maintain a 100% satisfaction rating on our support. And word of mouth is a huge driver of growth for us. 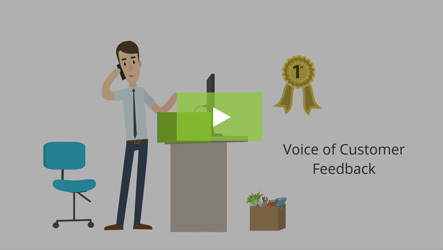 So doing something uniquely valuable, that’s in our customer’s best interest, like a personalized video response – that helps fuel positive mentions and word of mouth growth. People end up referring to us all the time, which is amazing. And it’s due to the combination of a stellar product, highly actionable content, and how we are innovating on the Customer Success side. Two lines. Real quick. Just a little boost of dopamine for the recipient, a simple expression of gratitude. I think that kind of message is really valuable. We’re all humans, emotional beings at our core. And I think that gets lost in SaaS and early stage tech companies, especially, where you may need to have a more technically-minded early team. Another example of how we appeal to our users – not just as an email address or customer id, but as individuals that we genuinely care about – is in how we handle our web-based support requests. There’s a field that asks what is their “emotional state”. The options are: excited, confused, worried, upset, panicked, or angry. It’s an optional field. And the differences between “panicked”, “angry”, and “upset” are subtle. But most people fill it out – which is counterintuitive. Because the prevailing mentality in interface design is that more form fields is usually a negative thing. It turns out that people like to be asked how they’re feeling – which isn’t a revelation. It’s just something that we, as an industry, tend to ignore more often than not. And knowing how our users are feeling at that moment allows us to react more appropriately and authentically and use language that will resonate more strongly with them. It’s another example of “language-market” fit. We’re building products for dealmakers, who are necessarily relationship-minded folks. A bit of gratitude and subtle, but authentic, appeals to their humanity have proven to be extremely powerful ideas. We take every opportunity to turn potential detractors into lifelong advocates and to deepen the relationships we have with already engaged customers. It’s an experiment at this point, but so far it seems to help with retention, engagement, and even account expansion. And if we think about a similar approach in our own personal relationships, it’s a no-brainer that seemingly random gestures of appreciation would go a long way. What I’m really proud of, as a member of the DocSend team, is that we do a really great job of listening to and empathizing with our customers and users, and we do an equally great job of measuring and considering their feedback. Because we want to avoid just building a “Frankenstein” platform that’s a patchwork of features in reaction to each common request. Very often customers will tell us they want a specific feature or solution, but we’ll dig in and realize what they’re really describing is a certain problem they’re facing. And that problem could be solved in a number of different ways. And so we take a very considered, measured approach that keeps our long-term roadmap completely aligned with our immediate customer feedback. As with everything in Customer Success, the key is to find out what your customers are trying to achieve as an outcome of interacting with you, your product, and your company. Sometimes that’s an outcome your product can solve, sometimes it’s a quick answer to a simple question, but it always – always – requires empathy, admiration, and respect for your customer. Get even more ideas on improving sales and marketing from DocSend’s blog, and keep in touch with Ari Klein @arielklein on Twitter. 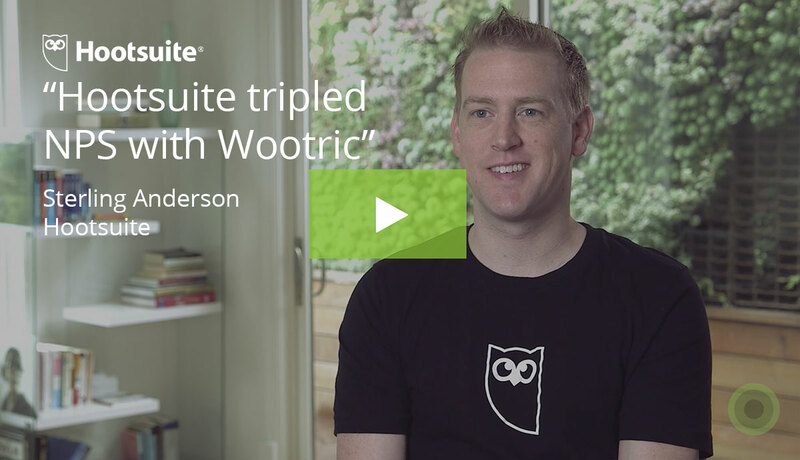 Sign up for free with Wootric.